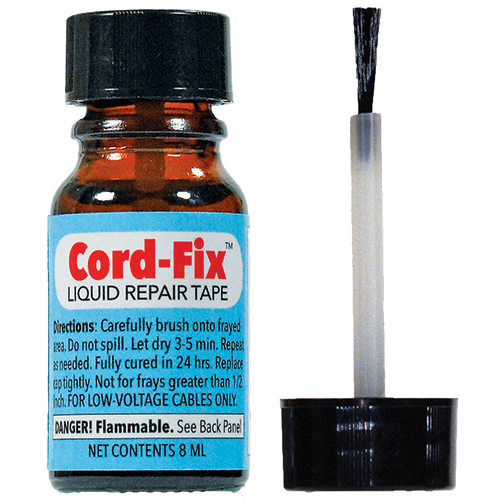 Fix it fast with Cord-Fix Liquid Repair Tape! Tired of buying replacement charger cords? Then save money by repairing them yourself! 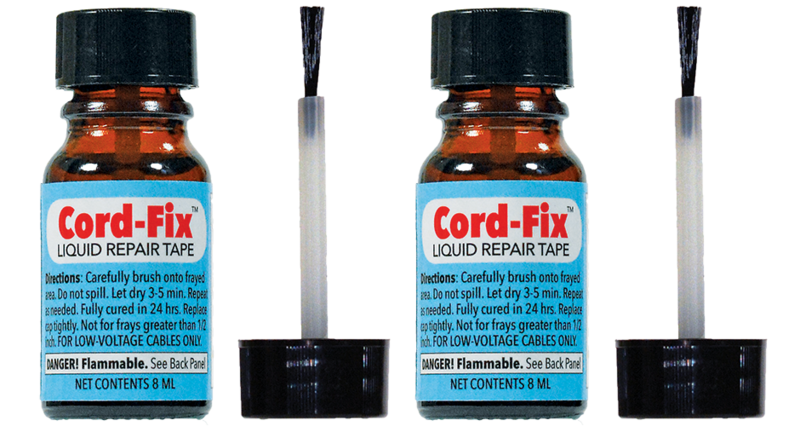 Cord-Fix Liquid Repair Tape patches and re-coats any frayed low-voltage power cable. It’s fast and easy! 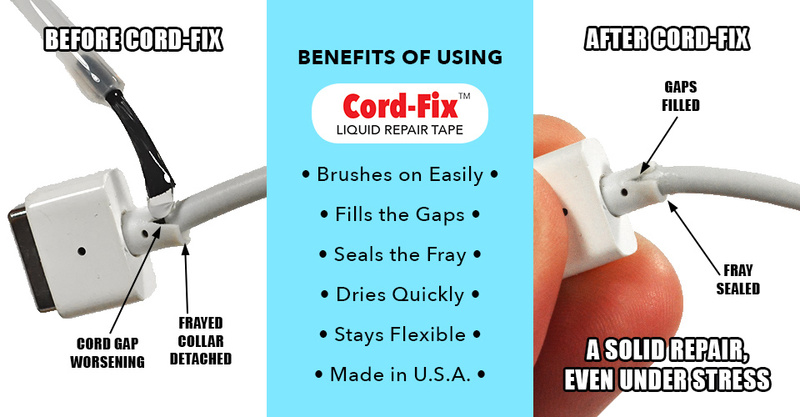 Simply brush Cord-Fix onto the frayed cord to mend and protect the cable against further damage. It works on all sizes and brands of cables, including iPhone/iPad/iPod USB and lightening cords. Also works on broken tablet, notebook, laptop and MacBook cables, game controllers cords, ear bud and headphone wires, and virtually any other low-voltage vinyl-wrapped cable! “So far I have repaired 3 frayed cords. It was quick, easy and effective. Can’t ask for more. “My four kids were driving me crazy replacing their broken iPhone charger cords.